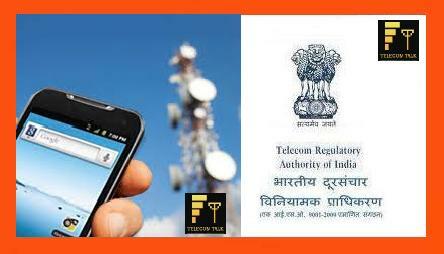 The Telecom Authority of India (TRAI) began its consultation for the upcoming rounds of auctions to be held for mobile operators. The licenses were issued based on 20 years basis according to which license of some of the Telecos like Vodafone, Airtel, Idea and Rcom are set to expire this year. The consultation process will help in determining the reserve price of spectrum to be auctioned for a total of 18 service areas spread across 900MHz and 1800 MHz These spectrums are primarily used for facilitating service based on Mobile GSM technology. The Companies will be able to renew their licenses by shelling out a fixed fee but they are expected to bid afresh for continuing Mobile and other wireless services. TRAI has clearly outlined that it will segregate the spectrums. This Auction is expected to replenish the Government’s coffers by Rs 9,355 Crores. The open house discussions will be held on September 22. Government had set a revenue target of Rs 40, 847.06 crore in the fiscal year of 2013-14. The Auctions in February helped the Government to earn revenues exceeding Rs61,652 Crores which is well over the in target.